Laura is a German living in Copenhagen. She’s a coffee addict, foodie, amateur chef, travel junkie, language enthusiast, and has never met a dog she didn’t like. Among her favorite things to do is trying new food, be it street-style fast feasts, fine dining, or home-cooked meals. She tremendously enjoys the buzzing Copenhagen food scene and the New Nordic cuisine movement, which focuses on high-quality seasonal and regional ingredients. Despite both her German heritage and current Danish home, she much prefers wine or a good cocktail over beer. 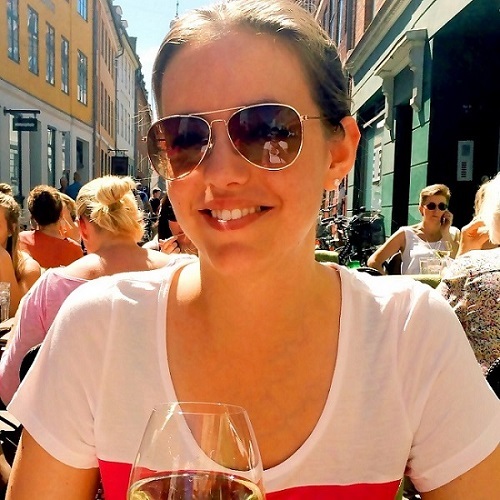 Laura shares her love for the Danish capital and its food on her blog, The Copenhagen Tales. Expat lifestyle blogger, coffee addict, foodie, amateur chef, travel junkie, language enthusiast, hygge fan, and a total dog person. Want to find the essential eats in Copenhagen on the go? Download our app to discover the best places to eat in over 275 cities.